Specialized real estate companies such as those that focus on investment clients will want their business name to convey professionalism and perhaps follow- on service. This is a guide about real estate investing business name ideas. I'm starting a REI business and I'm having trouble coming up with a good name that also sounds established. Any ideas? Thank you. I need help coming up with a name for a real estate investing company. My last name is Collins, my partner's last name is Wise. Both names with investments, enterprises, etc. have been taken and are being used. Any suggestions? My only nick name is Jer. 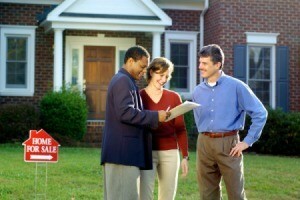 Try something like Collins and Wise, Real Estate Investments. Then just use the first letters...CWREInvestments. Use your middle name initials, etc. Play with the letters until they make sense. My brother in law, whose initials are RED, owns a small airport. He calls it RED Air Field. All the hangers are painted red. Try it. I want to start a real estate and investment company. Can anyone suggest a good name? Forever Investing In Real Estate. Anybody have a catchy name for my new business involving real estate investing, rentals, and flipping? My fiance wants to start his real estate investment business and we are looking for some nice, unique, and dashing name for our business. We 'll really appreciate it if the name starts with Z or A. We need your help please. My husband and I live in British Columbia (Canada) and are setting up a real estate investing company. We plan to sell property in the US, but at this point I believe it will be to both US and Canadian investors. We plan to find property for investors, but may also flip property. We don't want to make the name too narrow as we aren't 100% sure which way we will go. I was thinking we would want "real estate investing" in the name so it describes the business. We wanted something contemporary and professional and possibly using "Edge" or "EdgePoint" in the name. What do you think and would you have any other suggestions? What about Resonate Real Estate Investing with the repeating R? Thanks in advance for your help!